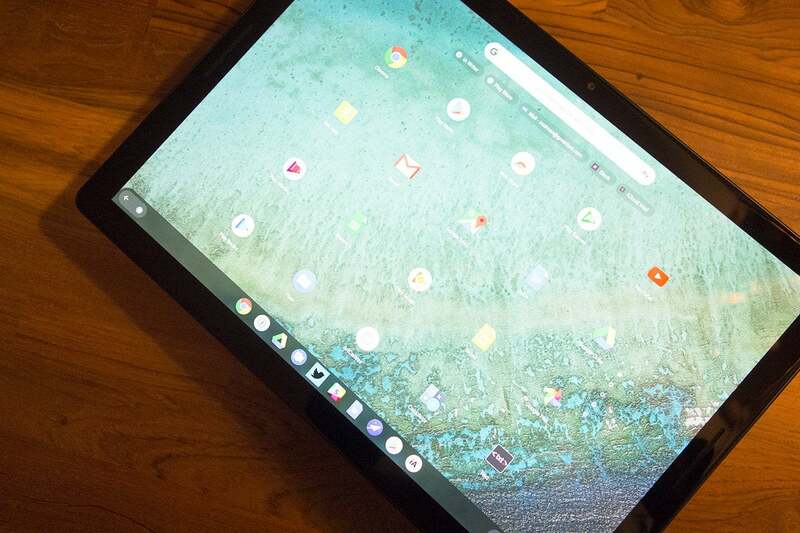 Frustrating limitations, flaws and glitches, and a tug-of-war between Android and Chrome prevent the Pixel Slate from being all it could be. Should you buy a Pixel Slate? Reviewing the Pixel Slate was like reviewing two devices. Out of the box, it’s something of a high-end Android tablet running full-screen Play Store apps and a touch-friendly interface. But when you attach it to the Pixel Slate Keyboard, it transforms into a premium Chromebook, with a large multitouch trackpad and PC-like multitasking. 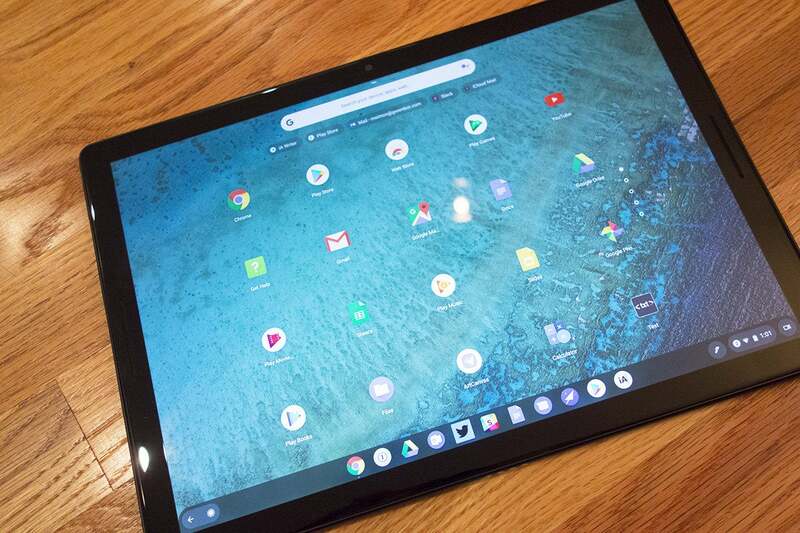 The Pixel Slate appears to be a dream 2-in-1, the rare hybrid device that truly conforms to your immediate needs. Where the iPad Pro and various convertible PCs fail to consider the jarring interface changes when switching from a touch-based UI to a keyboard-based UI, Google has designed Chrome OS’s new hybrid interface specifically with the Pixel Slate in mind. Google understands that you’ll use your Chromebook differently as a tablet than you would as a laptop. So the Pixel Slate deserves to be taken seriously as the next generation of both Chromebooks and Android tablets. 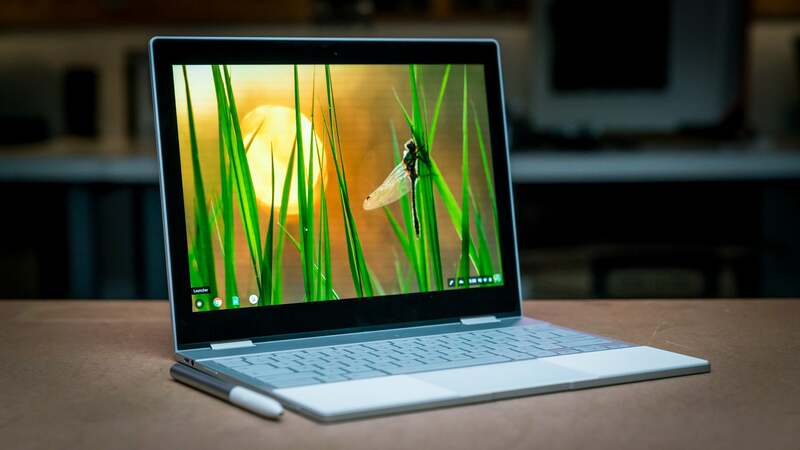 It’s the culmination of a three-year evolution from the Chromebook Pixel to the Pixel C and Pixelbook. At once a tablet that wants to be a laptop and a laptop that wants to be a tablet, it’s better at doing both than anything else out there. But it’s also a work-in-progress saddled with frustrating limitations, flaws, glitches, and a bit of tug-of-war between the Android and Chrome sides of its personality. All these issues conspire to prevent the Pixel Slate from being all it could be. The Pixel Slate comes in several configurations, ranging from an Intel Celeron and topping off at an 8th-gen Core i7 processor. That’s a wide performance spread, with the low end delivering less horsepower than the $399 Surface Go and the high end competing with the Dell XPS 13. 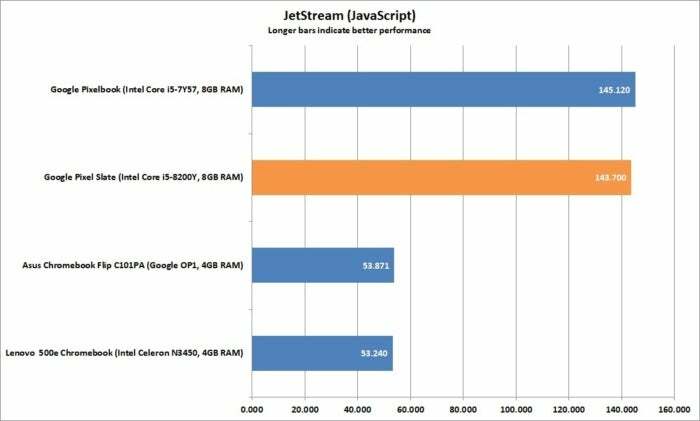 I tested the $999 Core i5 model with 8GB of RAM and 128GB of storage, which represents the mid-point between the $599 entry-level model and the $1,599 top-of-the-line model. Unfortunately, LTE isn’t an option on any of configs, which makes the Pixel Slate less of a road warrior than the iPad Pro or Surface Pro. It’s impossible to look at the Google Pixel Slate and not see shades of the iPad Pro. They both have a flat back and slim, uniform bezels, so orientation isn’t an issue. They both have gorgeous 12-inch-plus screens that feel somewhat smaller than they are. And they both have enough embedded magnets to stick to a refrigerator door. 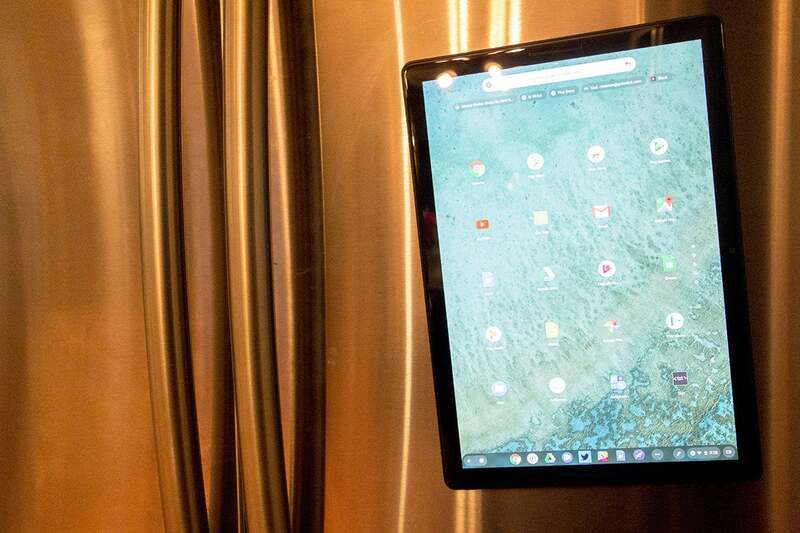 The Pixel Slate has enough magnets to stick it to the front of a refrigerator. The Pixel Slate is also very much a Google device. It looks a little like a giant Pixel 2, right down to the dust-trapping speaker grilles flanking either end of the screen and the missing headphone jack. The only cosmetic similarity the Pixel Slate lacks is a two-tone back, which would have been a classy addition to the otherwise plain aesthetic. Still, the Pixel Slate’s single color is undeniably a cool one. Google calls it midnight blue, and it switches from deep blue to rich black to iridescent depending on the reflection off of your fingerprints, which are quite visible on the back despite a matte finish. 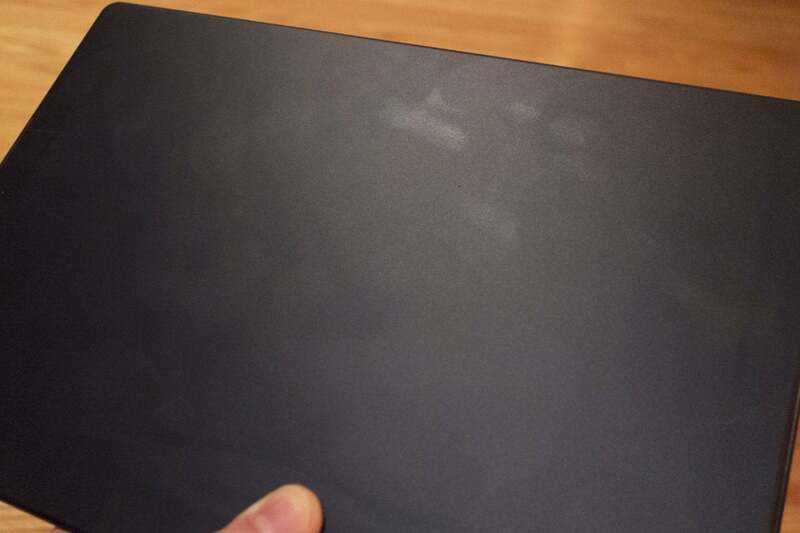 It’s not glass, but fingerprints are still a thing on the Pixel Slate. The Pixel Slate has a 12.3-inch “molecular” display, a bit of Apple-style marketing to play up its 6 million pixels. With a 3000x2000 resolution, it’s sharper than the 2400x1600 PixelBook and the 2732x2048 iPad Pro, with an impressive 293 pixels per inch (though your eyes won’t really notice). Google says the LCD display covers 72 percent of NTSC, a pretty useless spec in an sRGB and DCI-P3 world, but the Pixel Slate won’t offend critical eyes. It’s very bright (over 500 nits maximum in my testing), and its colors are vibrant. While the square display corners feel a bit antiquated in an age of rounded corners, you certainly won’t mind looking at it for hours on end, especially if you’re filling some of that time with movie-watching. Holding it is another issue. At 11.4 x 8.7 x 0.4 inches, it’s actually a bit larger than the 12.9-inch iPad Pro, and the extra tenths of an inch matter when you’re already pushing the limits of comfort. At 1.6 pounds, the Pixel Slate is also a little heavier than Apple’s biggest tablet (which weighs 1.4 pounds), all of which makes the Slate uncomfortable to hold for more than short stints. That means you won’t be using it to take many pictures, which is probably why Google didn’t bother to include any of the Pixel 3’s cool camera tricks (though the Slate does have portrait mode). The Pixel Slate has a camera on the back, but you probably won’t be using it much. 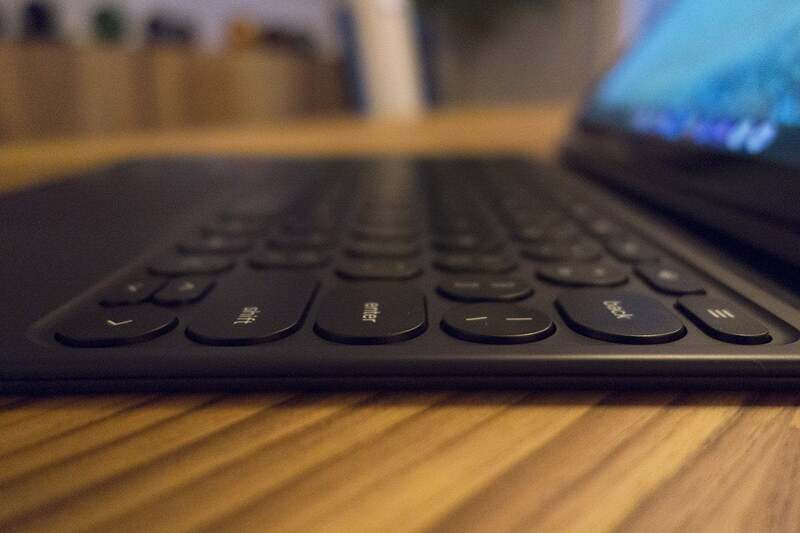 Because of the Pixel Slate’s limitations as a tablet, a keyboard is an essential accessory. You can connect a third-party model via Bluetooth 4.2, or purchase Google’s own. To that end, Google charges $199 for its Pixel Slate Keyboard—as much as Apple’s Smart Keyboard Folio—but it’s put a good deal of thought into the design. The beautiful midnight-blue chassis perfectly matches the tablet, and it looks as great attached as it does folded up. On a table, the Pixel Slate and the Keyboard cut a striking figure, looking like a slender Chromebook. When the Pixel Slate is in this position, its two USB-C ports are positioned on the bottom of either side of the tablet rather than the center, so you won’t have to raise the power cord above desk height to plug in the device (as you’re forced to on the iPad Pro). The Pixel Imprint fingerprint sensor/power button is awkwardly placed when holding the Slate with two hands, but it’s easy to reach on its top edge when docked. 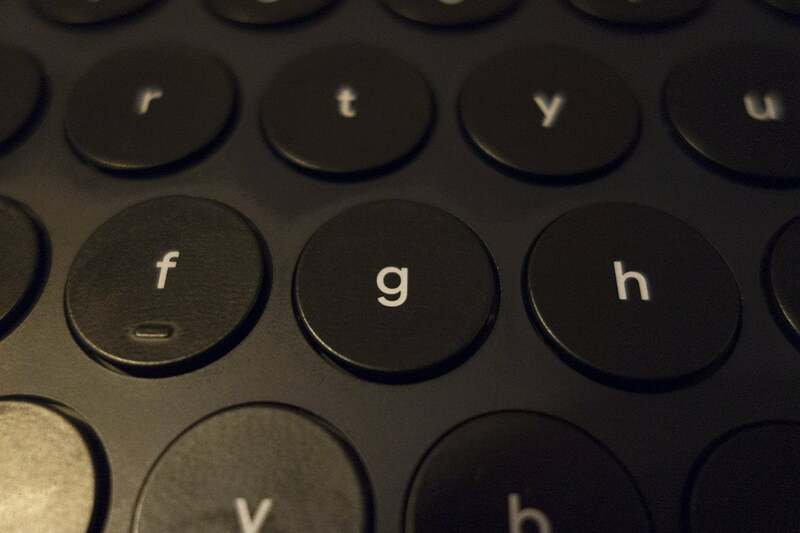 The keys on the Pixel Slate Keyboard are circular, which looks good but feels weird. The multitouch trackpad is as responsive as it is on the Pixelbook. The backlit keys (called Hush Keys in the United States) are pleasantly quiet. They also have a decent 1.2mm of travel despite a low-profile design. Unfortunately, their circular shape and wide spacing gave me less margin of error in hitting the right key, resulting in more mistyping than usual. The Pixel Slate Keyboard provides an “infinitely adjustable” design that lets you customize the angle of the attached Pixel Slate tablet far more than you can with an iPad or Surface Pro keyboard. It’s impressive how the Pixel Slate’s magnets allow for slight angular adjustments. However, you can’t lay it completely flat without first detaching it from the Pixel Slate Keyboard, making “infinite” seem like an overstatement. Unfortunately, the magnets aren’t strong enough to prevent slight movements when you’re tapping with a bit of force on the screen. I also would have appreciated a place in the keyboard design or on the tablet itself for that matter to rest the PixelBook Pen, which Google offers in Midnight Blue to match. (Otherwise the stylus is exactly the same as last year’s silver model.) Overall, the keyboard’s lightweight, somewhat flimsy design, coupled with the weight of the screen, makes it tough to use the Pixel Slate on your lap. 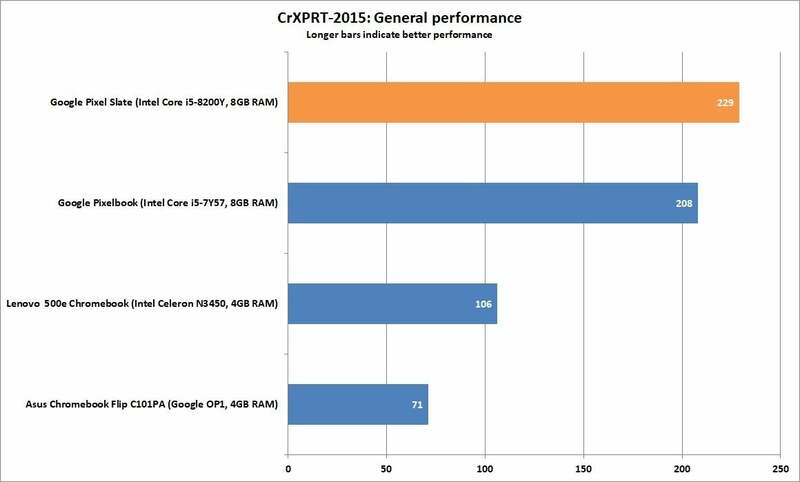 When benchmarking Chromebooks, you always have to deal with Google’s relentless OS rhythm. 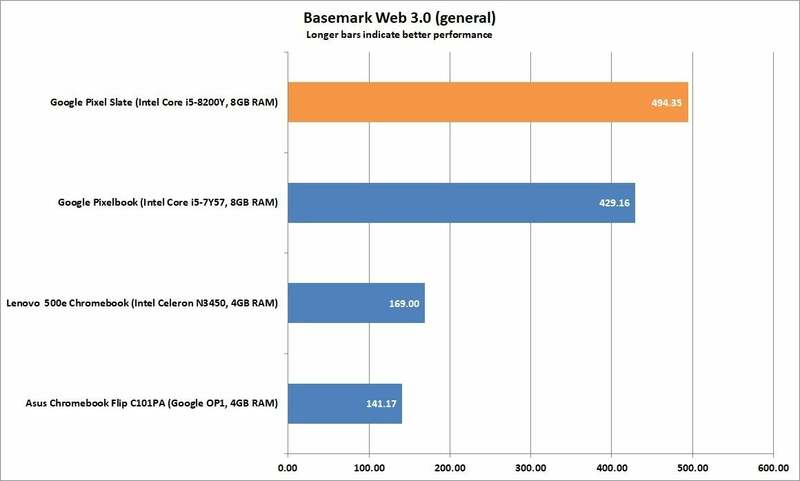 Every six weeks, Google updated Chrome OS, and our past results lose perfect apples-to-apples comparability. That said, we were still curious to see how the Pixel Slate performed against other recent Chromebooks, including its year-old Pixelbook cousin. The Pixel Slate carries a brand-new Intel Core mobile processor, the Core i5-8500Y, from the 8th-gen Amber Lake Y family. This dual-core, four-thread, 14nm CPU is an ultra-low-power chip designed specifically for slender, light devices like the Pixel Slate. Paired with Intel’s UHD 615 integrated graphics, it’s made for mainstream productivity rather than high-end (CPU-/graphics-intensive) applications or gaming. The other Chromebooks on the chart include the Asus Chromebook Flip, with Google’s own low-end OP1 chip, and the sturdy, student-oriented Lenovo 500e Chromebook. So how does the Slate perform? The short answer is the Pixel Slate ran neck-and-neck with its category-leading cousin the Pixelbook, until it pulled way ahead in battery life. Here’s a look at the details. Using the Cr-XPRT benchmark, which measures common tasks like browsing and movie playback, the Pixel Slate stays a bit ahead of the Pixelbook and leagues ahead of the lower-end 500e and Chromebook Flip. 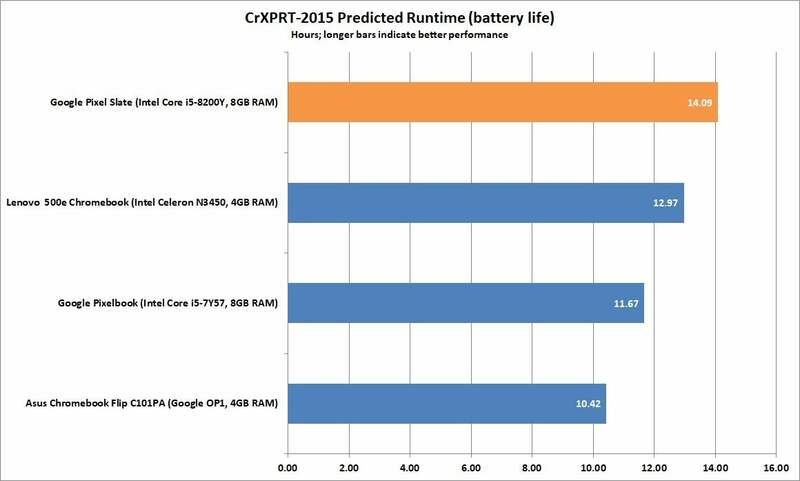 The Google Pixel Slate’s Core i5 processor is a screamer, as the Cr-XPRT general benchmark shows. More important than charts, however, is real-world performance. I didn’t experience any slowdowns, freezes, or general issues during my day-to-day use, which included liberally bouncing between Chrome and Android. 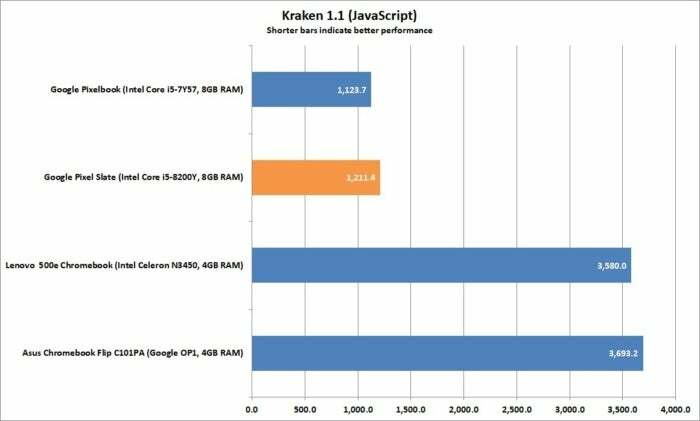 As with the iPad Pro, however, there’s a question of whether you need the power of an 8th-gen Core i5 or i7 in a Chromebook. Don’t get me wrong—the Pixel Slate’s zippy animations and buttery-smooth scrolling feel as powerful as a MacBook’s. Still, a Core i5-8500Y is a little pricey for a Chromebook, let alone a Chrome OS tablet. I suspect the $799 Core m3 model will be plenty for most people, if not the $599 Celeron-based one. A thousand bucks is a lot to drop on a tablet, especially when you add $300 for a keyboard and pen. Battery life is a big highlight. All five Pixel Slate models have the same 48Wh battery, and Google says each Pixel Slate will last for 12 hours of standby, web browsing, and other use. That’s a conservative estimate according to my benchmarks, which clocked the Pixel Slate at over 14 hours (set to 200 nits brightness and medium volume), more than an hour longer than the Pixelbook. The Pixel Slate has fantastic battery life. Only after hours of testing, along with a great deal of work, did I have to plug in the Slate before I was ready to put it down for the night. Even then, it needed only a 15-minute charge to keep it going for a couple more hours. In short, the battery life is as impressive as the display, and it makes the Pixel Slate an excellent travel companion. The Pixel Slate’s bleeding-edge OS is an inspiration and a challenge. It ships with Chrome 71 on board, several updates beyond the radical revamp that arrived with version 70. For the first time, the new interface has a chance to spread its wings, and it truly gives the Pixel Slate a hybrid, modern vibe. 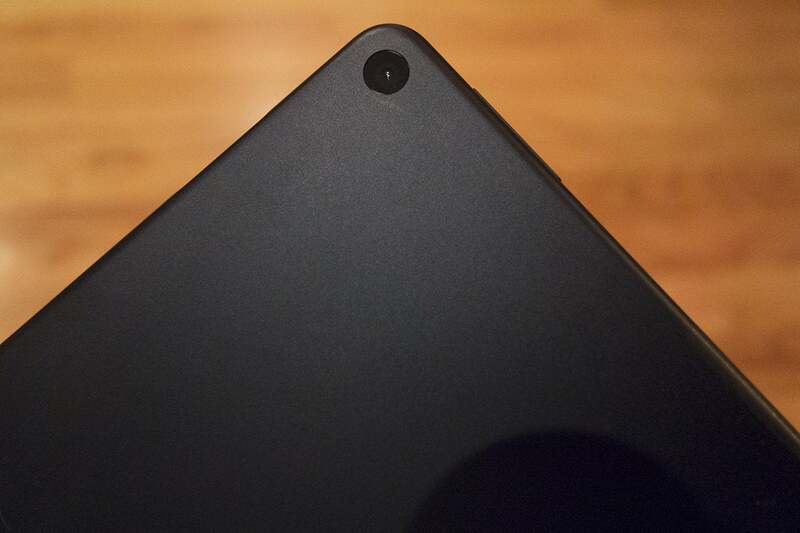 The back of the Pixel Slate is clean except for a camera and a small “G” logo in the corner. However, while Android 9’s visual influence is undeniable, the Pixel Slate has its own personality, and it’s not always agreeable. Google’s Chrome-Android confluence is still very much a work in progress, and anyone who wants to use the Pixel Slate to run Play Store apps will be frustrated. For example, multitasking is limited to side-by-side windows unlike Chrome OS proper, but I’d like some kind of middle ground, like the ability to run apps and YouTube videos in Picture-In-Picture mode (which Chrome’s secret flags site suggests is on the way, at least for video). The Pixel Slate is one of Google’s best-designed hardware products. Because many Android apps haven’t been properly optimized for tablets, the experience is pretty hit-or-miss. But even beyond the state of the app ecosystem, there are loads of niggling issues when using the Pixel Slate as an Android-first tablet. The biggest by far is the lack of spellcheck, an annoyance that makes writing in anything other than Google Docs a major pain. I also experienced an occasional bug in IA Writer that froze the app and forced me to sign out of my Google account when using the text selection zoom tool. Other times I couldn’t bring up the window at all. That’s not the only bug I encountered. Here is a sampling of others: When logged into multiple users, I completely lost Play Store access on the main account (and consequently all of my Android apps) and was able to restore it only by logging out. The backspace button turned into a space bar on several occasions. Tapping an icon in the dock didn’t actually open the app. The app drawer put new app downloads on their own page, with no way to organize them other than physically dragging each icon and dropping it onto the prior page. And on three separate occasions, my Pixel Slate just spontaneously rebooted. 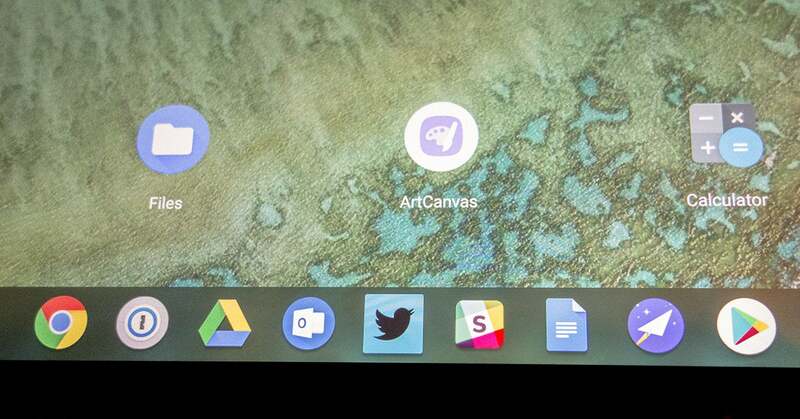 Chrome OS’s new dock is very PC-like. There are far fewer issues when you stick to the Chrome browser and Google apps, but because Google is installing the Play Store on Pixel Slate and clearly wants people to use the Pixel Slate as a tablet, these are bugs that will need to be squashed quickly. Google responded to my queries by saying some bugs would be fixed in updates available soon after launch. Curiously, these problems all but disappear when the Slate is attached to Google’s keyboard. The familiar Chromebook interface returns, with PC-style multitasking, resizable windows, and full keyboard shortcuts. Even when using Android apps, the bugs I experienced in tablet mode were nearly all gone. My only real complaint with the Slate as a Chromebook is that the Pixel Imprint fingerprint sensor doesn’t work as a biometric authenticator in any other capacity than unlocking. Also, smart unlocking with the Pixel 3—which is supposed to log you in automatically when your phone is within Bluetooth range—rarely worked. Oh, and a couple of times I lost my Bluetooth connection altogether and needed a full restart to get it back. 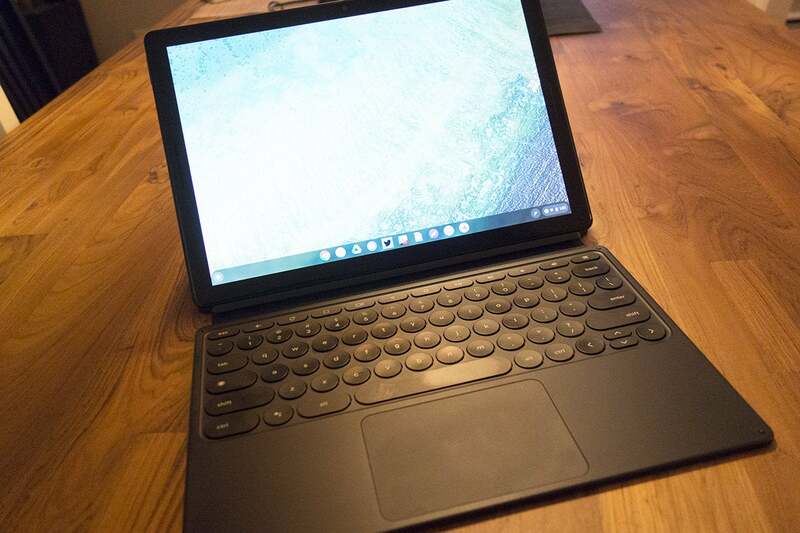 When attached to the Pixel Slate Keyboard, the Pixel Slate looks like an ordinary Chromebook. But my biggest gripe with the Pixel Slate is how jarring the transition is from tablet to Chromebook. When you undock it from the keyboard, whatever app you’re using expands to full-screen. This requires a second or two of visual and mental adjustment, and not just because you’re moving from type to touch. You’re also switching from multitasking to duo-tasking. Floating to snapped. Desktop to app drawer. This awkwardness isn’t unique to the Pixel Slate in a post-Chrome 70 world, but it’s the first consumer Chrome device that sets itself up as a versatile 2-in-1. And ultimately it’s still just way better when tethered to a keyboard that’s sold separately. Worst of all, the tablet mode—which is how the Pixel is sold, sans keyboard—is an inferior UI. The no-desktop concept is a good one, but I’d rather the tablet mode kept a little more of the Chromebook functionality rather than merely its design cues. Or simply expanded on Android’s picture-in-picture feature, so apps like Calculator or Files didn’t need to take up the whole screen. Chrome’s tablet UI has tremendous potential, and the Pixel Slate feels like a classic Google move to iterate in public. There are a lot of things to like about the Pixel Slate. It has a gorgeous design, it comes in a range of prices and options, and it has a thoughtful two-way interface that plays to the strengths of each format. The companion Pixel Slate Keyboard fits the Slate like a dream, and the battery lasts long enough to leave a charger behind. The Pixel Slate Keyboard has a very low profile. But in its current state, it’s hard to recommend the Pixel Slate without a few caveats. You need the Pixel Slate Keyboard. Android apps are more of a bonus than a selling point. And there are enough little bugs to make it feel more like a $200 Chromebook than a $1,000 model. But while I probably wouldn’t recommend the Pixel Slate to anyone looking for a full-time tablet or Chromebook, I also wouldn’t talk someone out of buying one. For all of the annoyances, I enjoyed using the Pixel Slate, and it’s definitely one of Google’s best-designed products. I’ll certainly keep using and report back as things improve. The Pixel Slate is very much the future, but for now, if you have $1,000 to spend on a Chromebook, you’re probably better off getting the year-old Pixelbook. The Google Pixel Slate is a gorgeous tablet, but its software doesn't quite live up to its good looks. A little too heavy and big to use for very long as a tablet. Adding a obligatory Pixel Keyboard makes it a very expensive. Bugs and growing pains make it tough to use as a tablet.